What if you could burst your own filter bubble by seeking out fake news? There’s an app for that! 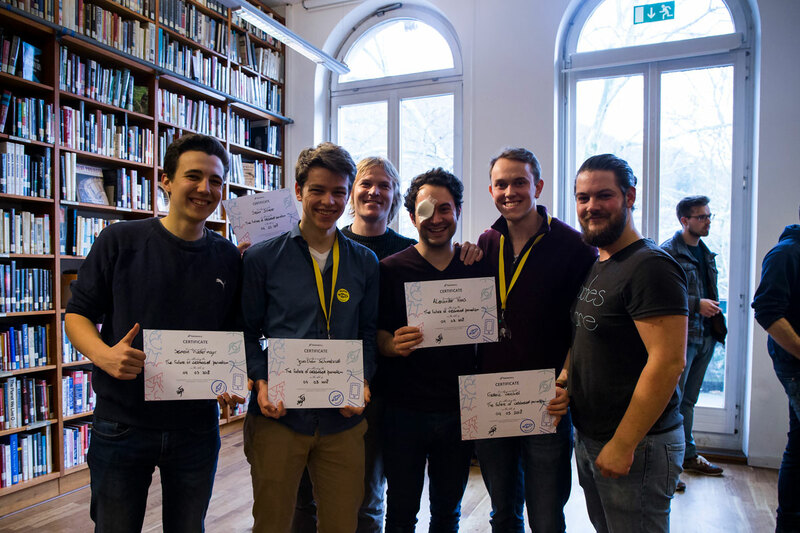 During the Hackathon we created an app called Quicknews. The program provides a swift view of current news articles from other websites. Users can swipe through article summaries and choose to read the ones they deem interesting. By swiping either left or right, users can indicate which news they prefer and thus personalize their feed. This filter is transparent and can always be adjusted by the consumer. Nowadays it’s important for people to be able to review whether the information they read is trustworthy. Therefore, we have integrated a trust meter at the top of every article based on the reputability of the news source. Users can also report an article as “fake” if the story doesn’t appear realistic to them after having read the entire article. If a significant number of readers reports the article as fake, it will be marked as such and the publisher of the article will be notified. We integrated a quiz function that lets users guess whether an article is true or fake. Users can challenge their friends to do the same. We’re hoping that this fun feature will push readers to new topics and get out of their bubble. We challenged ourselves to empower news consumers without creating echo chambers. Surely there must be a way to offer casual news readers the news they’re interested in, without the result being that they end up reading only information they already agree with? We thought it through: there is a solution! 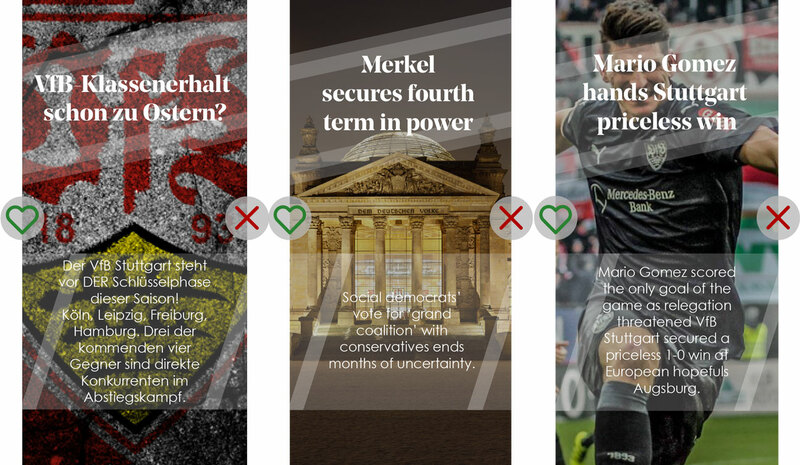 Quicknews provides readers with an easy way to breeze through the news and allows them to look at stories critically by taking quizzes on their veracity, thus challenging the views they hold! 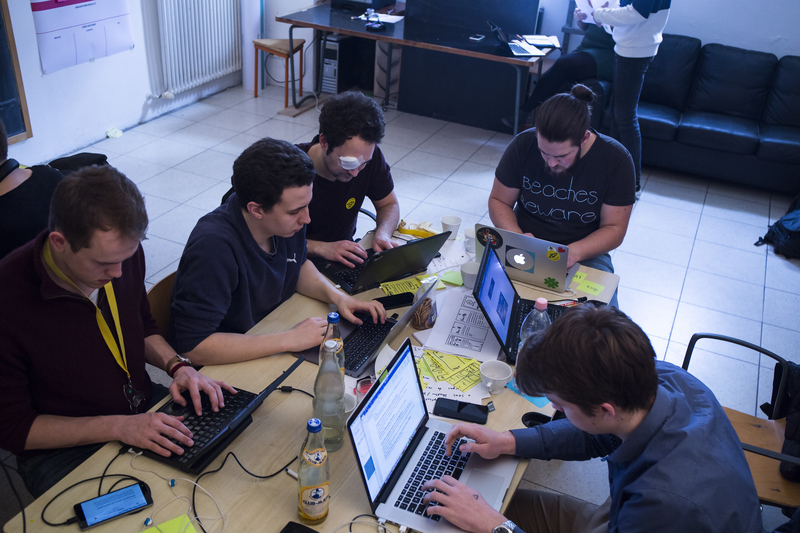 Our coding crew developed the App in React Native, allowing for both an Android and iOS version of the app. The mockup articles were created in Adobe Illustrator.